This article is about my first bike Honda Stunner CBF 125. I have tried my level best to be true and honest in my review. Hope this article is useful. This article is about my first bike, the Honda Stunner CBF 125. This bike will always remain as one of my biggest crushes of all time. Deciding to go for your first bike is always tricky, nothing comes so easy, and you need to strive for it. When I decided to buy my first bike I was in a dilemma, I will say why. I had just learnt to ride a bike; you can guess I was not perfect enough to ride in the city traffic, so convincing my mom was always going to be tough. Secondly because I was not perfect my mom would never love the idea of going for my favourite bike, The Karizma R mainly because I would not be able to control it, budget was also an issue but it was secondary. So because of these many inevitable reasons I opted for The Poor Man's Karizma, the Honda stunner CBF. So why I decided to go for Stunner is a valid question, I will be answering that below. 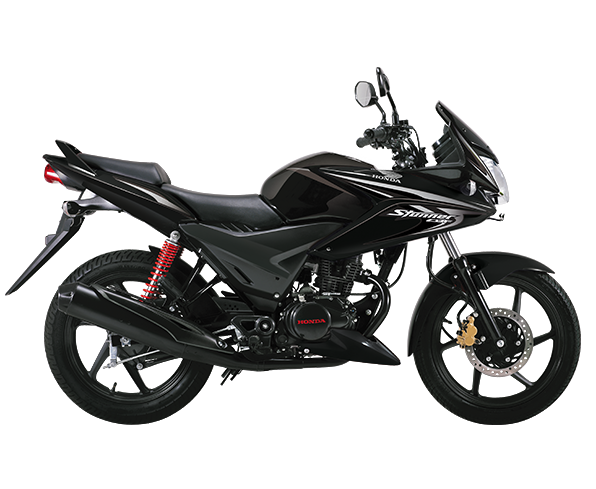 Why I chose Honda Stunner CBF? I had just joined my college and I needed a bike to commute to my college daily. I am not a guy who would like any bike, my choice and interest remains stern and don't sway away from them easily. So I had decided that I wanted a good sporty bike but because of the above said reasons I had to be satisfied with a medium 125cc segment bike. So looking for a good sporty, economical and affordable bike was not a big doubtful thing for me because I had already decided that if I would not buy my favourite Karizma R I would go for Stunner. 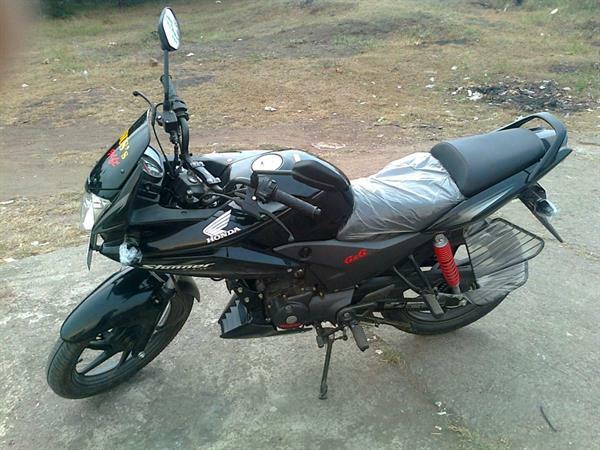 The looks of the bike, it looked sportier than any other 125cc motorcycle. Being a big fan of faired bikes, I was attracted to the stunner, because of the fairing, yes it is indeed the design part of the bike but it is worth mentioning that's the reason I dedicated a special point for this. 125cc Engine: My friends who were a little experienced in biking told me that the engine indeed is going to be powerful enough. The pricing and the mileage both were in the manageable limit. Finally I choose stunner and my trial began. I was all over the place in front of some really orthodox people from my family they didn't like the look of the bike at all, they weren't happy. But I stood firm on my decision and was not taken away by the layman's opinion. I was adamant, I convinced my mom and everything started to fall in place slowly. So finally I decided to go to the nearest showroom to book one. There were clearly more heartbreaks waiting for me on the way, little did I know that the colour I was looking for was not available in the showroom, and gave me a waiting time of over 2 months. I wanted to buy the black colour and that was not available, the manager told me that it will at least take 2 months. So after almost two months of anxious wait, the manager called me one day in the evening and told that sir; Your black stunner bike has arrived and I was overjoyed and was the happiest person in the world at that time. Any layman would recognise it as a very attractive, beautiful bike. Its sporty Karizma like front visor, big fuel tank, raised tail section, sporty half chain cover, attractive under cowl mesmerises everyone on the go. So saying that the bike is absolutely scintillating will not be an overstatement. 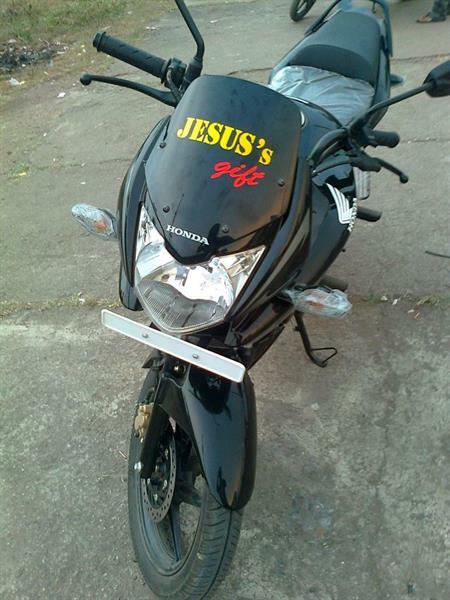 The biggest advantage of the design is that, at first look no one will tell it's a 125cc bike. The bike is overall designed fantastically, kudos to Honda engineers for the splendid work on the bike. It has an analogue speedometer and a rev meter. Fuel indicator is also analogue here, next is the neutral indicator and side indicators. Summing it up if you look at the instrument console it looks sporty and overall has a good feel, and of course this is par with the price of the bike, you have no rights to complain and say that you need a digital console. I would rate the console 4 out of 5 stars. I have used the bike for almost five years and so I think I have full right to judge it. When you start riding it you will feel the bike to its core, the handling for me I would say was comfortable and I fell in love with it from the first time I laid my hands onto it. The fuel tank is big enough and the tail section is lifted up, so you sit between these two steeps and that itself gives a feeling you are riding a complete sport bike. The handle being not attached to the headlamp, it is light and pretty light that you can manoeuver it quite easily, this certainly is one of the best things about the handling characteristics. The front disc brake is powerful enough to control your 125cc machine; the drum brake too is good. The hydraulic shock absorbers really absorb shocks on the road and make your ride feel smooth and okay. 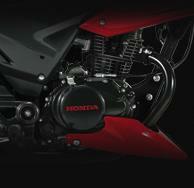 The handling characteristics are one of the most striking features of the bike. As this was my first bike, I was not that much expert in understanding the actual power of the engine and how a good engine would feel like while riding, but I felt one thing for sure that there were clear vibrations and not so smooth noises from the engine once you take it above 60km/hr. 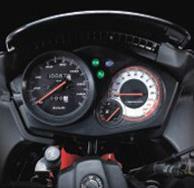 This means that the 125cc engine was not powerful enough or is not refined for a smooth run. I don't know about other 125cc bikes but my bike always had that frequent vibrations and unwanted noise emanating from the engine once I crossed the 60km/hr. mark. While riding on bumps on the road there always was an irritating thud sound from the bikes rear. It is only when you have a good heavyweight pillion rider. I was not able to figure out whether it was from the suspension or the rear sari Guard hitting anywhere onto the body of the bike. Riding the bike in traffic is fun because of its high handling characteristics but on the highway it is not enough and you will get to feel as if you are missing one more gear. Revving the engine will feel as if you are strangulating the bike. This is really a big concern. Honestly speaking I have used the bike for 5 years and I say that never ever I felt any kind of wrist pain, back pain, or shoulder pain. The clutch is super light, the transmission too is smooth enough for its class if you use it nicely. So engine performance always has that love it or hate it scenario, as for me I am not so much happy with the engine prowess. The pillion seat is of much considerable height; my mom always finds it difficult to hop on. But for guys it is really not uncomfortable. The overall riding experience was fantastic, except for the engine noise at high revs. I didn't ever bother about the mileage of my bike, but to speak about it, the way I ride, I get around 50 to 53 kmpl in city and 55 to 57 on highways. The claimed mileage from Honda is around 55 to 60, I think one could exert more from it if you follow some basic riding tips. So should you go for it? My answer would be yes, you should, if you are a beginner and you are looking for bike in the 125cc segment you can surely go for it. I met with an accident one month back and my bike was mangled badly, the fairing broke and it has taken a big toll on my bike. After the repairing work has been done, the vibrations have increased to a considerable amount. Plainly speaking, if you are looking for a bike in the 125cc segment, you need style and not ready to shell out a lot of money you can go for it. Thanks for reading guys. Hope it is useful. Ride safe. God bless.